In what may have been his final career game, Rob Gronkowski was able to hoist the Lombardi Trophy and go out as a Super Bowl Champion. Gronkowski has played all nine of his NFL seasons for the Patriots and is regarded as one of the greatest tight ends in NFL history. He is now a 3 time Super Bowl champion and a 5 time Pro Bowler to go along with numerous NFL and Franchise records. 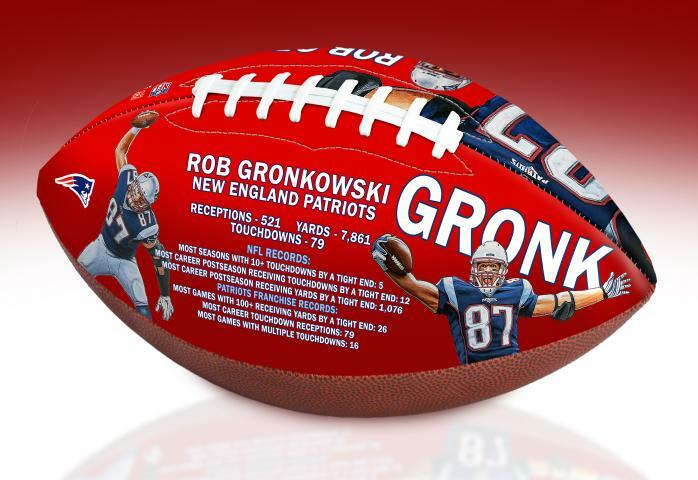 To celebrate Gronkowski’s career, we are proud to release this full-size, officially licensed, Rob Gronkowski career stat Art Football. The ball features Gronkowski’s career accomplishments including his stats and records, as well as original reproduced artwork by the BigTimeBats Art Studio. 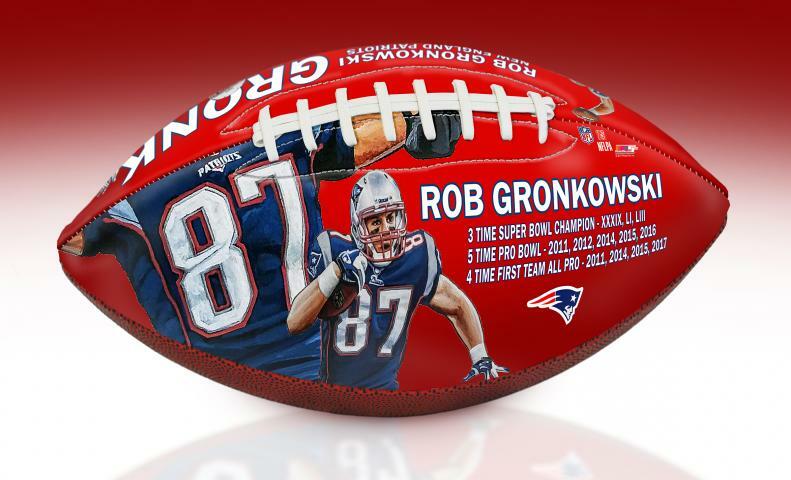 This is an amazing commemorative of a fan favorite that every Patriots’ fan will love to have. 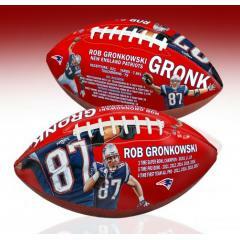 The balls are of an edition of 2,018 and come with an individually numbered certificate of authenticity.